The prices shown on our web site include VAT. If you require a separate VAT invoice you can request one using our contact details on the site. Our VAT registration number is 187 7098 52. The Consumer Protection (Distance Selling) Regulations as amended and updated covers the majority of contracts that are agreed at a distance; either by telephone, by fax or over the Internet. Nothing in our company policy should be read as negating those consumer rights. In the event of a conflict, the applicable legislation applies. As near as possible, we ship within 72 hours of receipt of order. Sometimes it may take longer depending on staff availability, stock levels, order volume, weather, traffic and other situations that are beyond our control. Collection at an event or Luton base £3.99 ONLY by prior arrangement. Standard postal charge via recorded first class mail or parcel post £7.99 This seems expensive but the post office is now charging for package size and weight. Although a single model kit may weight mere ounces, the post office charges for the size, too. 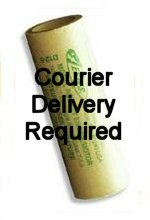 Standard courier charge for any order with motors, launch pads or HPR kits £11.99 for delivery the next day after dispatch- NOT the next day from the date of order. PLEASE NOTE! If your order contains motors and you do not pay for courier delivery we will POST the portion of your order that does not require courier delivery and refund the cost of the motors. When you check out if YOU choose to change the default shipping method to post we will assume that is your intention. Without sufficient notice we cannot commit to dispatch/receipt on any given date whether it is a birthday, anniversary or holiday. Please advise in the order comments box and order well in advance! We offer a "queue jumping" service if you want your order to leave at the next opportunity. Expedited handling (where the customer delivery requirements require an order to jump our processing queue) £10.00 additional. Timed delivery by a courier incurs additional cost (e.g. before 10 a.m., before noon or Saturday) Please contact for a quote. Saturdays are expecially EXPENSIVE! PLEASE NOTE! The cost of postage and packing (P&P) is quoted by the web site is ONLY for addresses in the "mainland" UK. Delivery to Scottish Highlands (including IV postcodes), offshore islands, Northern Ireland, the Channel Islands, IoM, >>Europe<<, the Americas or elsewhere is more, most times a LOT more. We charge only for the cost of the postage and the box or boxes for international or non-mainland UK delivery. We will hold your order until you pay the additional charges. Payment can be made via PayPal to modelrockets (at) btinternet.com. We will send a PayPal request for the additional payment. We update customers by email of the status changes of their order. Being repetitious, in no circumstance can we guarantee delivery on a certain date or by a certain time as there are many factors beyond our control. We do guarantee our best efforts if we know of a deadline. Please let us know in plenty of time! Please log into your account for order status information if somehow your spam box eats our emails. If you merely send us an "Enquiry" via our contact box on the site your message will be dealt with as a lower priority than if you respond to an Order Process or Order Update email. Once again, we will do our best if you let us know about a deadline but as many factors are out of our direct control, we cannot give you a guarantee (3rd repetition). Not letting us know until after the deadline just is silly. All orders will be shipped within 21 days or refunded on request if that is not possible. Risk in the goods passes to the purchaser upon dispatch. Our shipments are insured by the standard post office and courier liability clauses. If you wish additional coverage for a high value order, please contact us. We frequently post rocket model kits and components to customers overseas including the United States of America and Asia. While P&P is more than our UK inland schedule of charges, it is not prohibitively expensive as model kits are quite light in weight. We bill foreign customers separately for any additional P&P charges before they are dispatched. 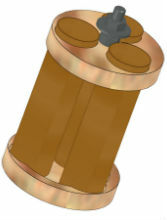 It is more expensive to send motors abroad. They must travel by road, cargo-only ships or aircraft. We can use UK Mail/DHL Road Express for this purpose and they provide extremely efficient service at a price. We will notify you of the extra charge - it is usually £5 or less for European orders, depending on contents and destination. We are NOT experts on import laws for any other country in the world. We make enquiries if we have concerns but sometimes even government departments mis-advise callers. If we ship goods to destinations abroad in good faith but if the consignment runs into trouble with import restrictions or taxes at the destination, these are solely the responsibility of our customers. We do our best to ship only the best rocket products available. Sometimes our supplier's quality control, the postal service or couriers let us down. We're human, too, and mistakes are rare but inevitable. 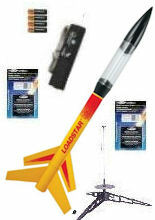 If the goods are faulty or damaged, please contact Model Rocket Shop within 7 days of delivery. If the goods are delivered in damaged boxes, you MUST note this on your delivery slip or we can't help you as the courier will deny all liability. You will receive replacement or a full refund if you have done your part to help us document the problem. Model Rocket Shop expects reimbursement of the costs of packing and delivery where the goods were tendered for delivery by our courier but returned for lack of response at the delivery address. Goods will be repacked and resent upon payment of the required re-shipping fee. If you cancel your order after receipt, you will be responsible for safe and legal return of the goods before a refund will be issued. Be aware that returning an order that contains motors by courier is very expensive. Because of the legal issues regarding shipment of dangerous goods, we can arrange this for you. This forward collection charge by the courier will be deducted from your refund, in most cases it will exceed the cost of sending the motors to you in the first place! Goods must be returned in re-salable condition. This means all parts in new condition included and, if it is in a box, it must be presentable as new to the next customer. Once packed and set for dispatch, if you cancel your order, our handling/restocking charge is 20 per cent on most items. 50 per cent restocking fee is levied for special order items. Goods remain the property of Hesperis Technology Limited until paid for in full. Customers agree to reimburse any costs incurred in reclaiming unpaid for goods.